Amarone della Valpolicella is about as distinctive as red wine gets. Of the world’s major reds sought out by consumers and collectors, Amarone is the only wine that is made by air-drying the grapes for months prior to pressing them. It’s the air-drying, or appassimento, of grapes that gives Amarone many – but not all – of its distinctive qualities. Clearly, the air-drying process by which Amarone is made brings about changes in the grapes that result in a wine with distinct characteristics. First, thanks to the dehydration of the berries and the loss of water, appassimento creates luscious, concentrated wines that are often characterized by slight residual sweetness and high alcohol. However, truly great Amarones are essentially dry wines; in fact, most estates report that their finished wines contain less than five or six grams per liter of residual sugar. Rather than actual sweetness, the best Amarones offer what Sandro Boscaini of Masi calls “an illusion of sweetness” that results from the increase in glycerol molecules during the air-drying process (and even more so in vintages in which the grapes are affected by noble rot). It is these molecules that typically give Amarones their luscious, tactile mouthfeel. Recent research studies tell us that the appassimento process is far more complex than initially believed. 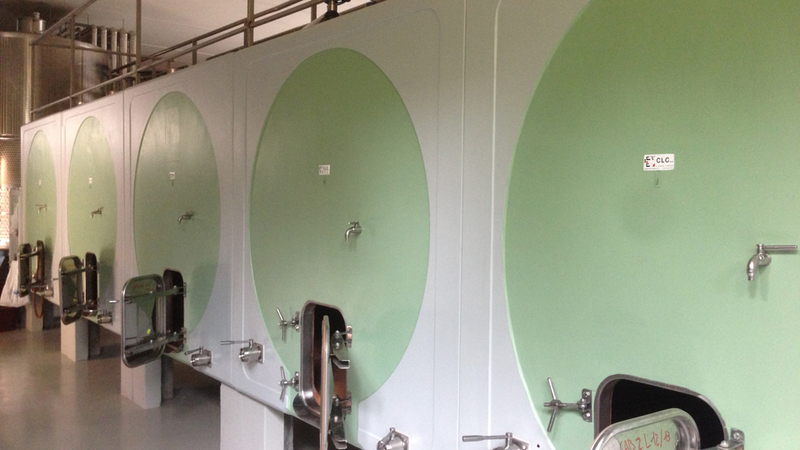 Most competent producers have long been aware that appassimento is not about air-drying just any grapes. For example, air-drying physiologically unripe grapes is of no interest whatsoever, as this would concentrate both the green elements in the grapes as well as the sugars and other flavor molecules present, inevitably leading to the production of powerful but unbalanced wines marred by a vegetal streak. Research has shown air-drying to be especially well-suited to Corvina, the grape variety that makes up roughly 70% of the typical Amarone blend (especially nowadays, as Corvinone is being used less and less). However, it has also shown the process to be much less suited to Cabernet Sauvignon and Merlot, which explains why air-drying grapes does not quite yield the same magical results when used with other grape varieties outside of Veneto. This is because air-drying is not only about loss of water. In fact, during appassimento different genes in the grapes’ DNA are newly expressed, while others are turned off; this selective “on-and-off” genetic switching starts when the grapes are picked from the vine and put through the air-drying process, leading to the formation of pleasant aroma and flavor molecules in Corvina-based wines. But, when the Cabernets and Merlot are air-dried, for example, bitter aromas and flavors emerge and dominate. In some cases, appassimento may have other unexpected benefits as well. For example, the process appears to greatly concentrate anti-oxidant molecules as well, such as resveratrol, a natural phenol believed to have positive effects on health – based on moderate wine consumption, clearly. Resveratrol concentrations in Corvina grapes increase from 140 micrograms per liter to 1,200 after 80 days of air-drying. While the exact merits of resveratrol and other anti-oxidant molecules are being evaluated in medical studies all over the world, there is some food, or wine, for thought here. Unfortunately, the flip side to appassimento’s many benefits (such as the production of luscious, velvety wines) is that in cool or rain-plagued vintages, Amarone can show green elements that are only partially masked by residual sweetness, real or perceived. Also, Amarone is no wimp when it comes to alcoholic punch, with most of these wines weighing in at 15.5%, 16%, 16.5% or even 17%. Bad Amarones are all about power and excessive sugar; while some misguided producers seem convinced that this combination is a ticket to success, such wines are of little or no interest to serious wine lovers. And of course Amarone is always an expensive wine. Clearly, if up to 40% of the grapes’ juice is lost through evaporation during the air-drying process (which can last up to four months, depending on the producer), those who make Amarone are forced to charge a premium for their bottles. Amarone is enjoying a boom in popularity. Today, almost 70% of Amarone is exported, especially to Germany (18% of the total wine exported), the U.S. (11%), Switzerland (another 11%), the United Kingdom (10%), Canada (7%) and Sweden (7%). Currently, less than 5% of Amarone exports make their way to China and Japan, so Veneto’s producers have more markets to conquer in the years to come. Sales are increasing in Italy as well, at a rate of about 10% a year. Amarone is made in the Valpolicella area of Veneto in Italy’s northeast, not far from the beautiful city of Verona. The Valpolicella area extends over roughly 30,000 hectares and 19 different townships, and is divided into three main areas: Classica, Valpantena and Orientale. There are about 13 different sub-areas identified within this very large swath of land, in which there are more than 270 specific sites – or crus, if you will. And although Amarone has long been viewed as a wine that expresses a particular technique rather than specific terroirs (many experts mistakenly believe that the appassimento process standardizes the finished wine, thereby masking terroir), it is clear that Amarones can be quite different from each other depending on where the grapes are grown – and which varieties are used. In general, wines made from vineyards in the Classica area showcase noteworthy differences based on where in the area the grapes were grown. For example, the township of Fumane often gives the roundest and most polished Amarones, while the wines of Negrar are usually the most elegant. The Amarones from Marano tend to be more structured and especially aromatic (reflecting the cooler microclimates of many of Marano’s higher-altitude vineyards), while those from San Pietro in Cariano are usually fruitier. But clearly, those general characteristics are very vintage- and producer-dependent. Wines made from the townships to the east of the Classica zone tend to be less well balanced (especially in more weather-challenged vintages), but again this depends largely on the producer and the growing season. In fact, some of today’s best Amarone wines are being made in non-Classica zones. Finally, Amarones differ greatly depending on the blend of grapes with which they are made. The vast majority of today’s Amarones are blends of 70% Corvina and Corvinone (but mostly Corvina in just about every case), 20% Rondinella and 10% other varieties such as Oseleta, Molinara, Croatina, the Cabernets and Merlot, although these last two are increasingly being replaced by the native grape Oseleta, which provides just as much power and tannic backbone. The Molinara grape has also fallen from grace in recent years and I am convinced that this is a serious mistake that now poses a real problem for Amarone and its producers (just to be clear, I strongly believe that it’s also a problem for Valpolicella and Bardolino producers as well). Molinara is a pale red, almost pink grape that offers lots of juice owing to its big berries and contributes delicate spicy and strongly saline qualities to finished wines, but many producers believe it has a diluting effect. It used to be a very important part of Amarone blends but has been progressively phased out over the past 20 years in favor of the other previously mentioned grapes; as usual, cutting back on Molinara was intended to enable producers to make the biggest, blackest, richest wines possible. But the end result has been that many Amarones now have more in common with Port and liqueurs than they do with fine red wine. This is a shame, as including 10% to 20% Molinara allows Amarone to show its more graceful side while still remaining the powerful wine we all know and love. Over the years, a number of famous Amarone producers have told me they are adamant about the need for some Molinara in their Amarone blends, and I’m in their camp. Valpolicella is a production area of Italy where the estate name on the bottle makes an even bigger difference than it does elsewhere in the country. While it’s relatively hard to pick a bad bottle of Barolo or even of Brunello nowadays, this is not the case with Amarone (and Valpolicella in general). Simply put, too many Amarones (and Valpolicellas) are not what they should be. Many Amarones are just big and clunky, sporting much too much residual sweetness and alcohol, not to mention being marked by rough tannins and green elements. This is almost always the case with the more inexpensive Amarones, but as I explained before, to think that one might get lucky and buy a satisfying Amarone for a song is delusional. It cannot happen, so caveat emptor. 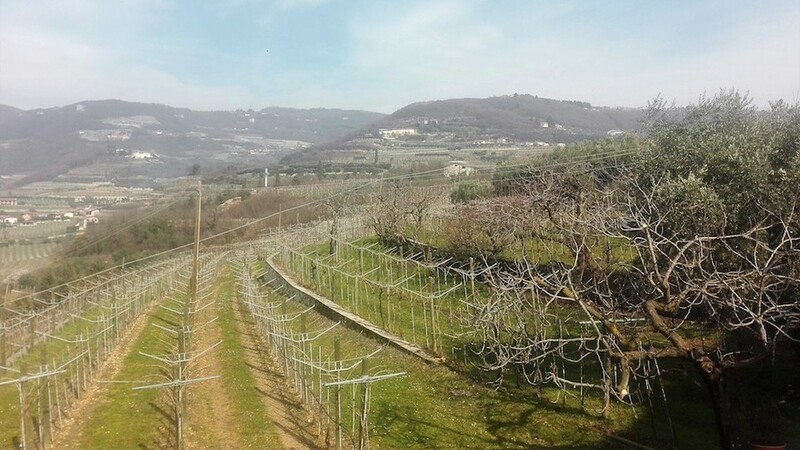 Making balanced Amarones takes a considerable level of skill, and so it’s no accident that estates like Pieropan and Prà, who are at the pinnacle of quality Soave production, also excel at Amarone—and their Amarone vineyards aren’t even in the Classica zone. Another easy way to find a well-made Amarone is to stick with the estates that belong to the Famiglie dell’Amarone d’Arte association, a group of 12 family-owned Veneto estates whose Amarones can be recognized by the hologram sticker (with a large capital “A”) that graces the necks of their bottles. The estates that belong to this association have drawn up strict membership requirements and production guidelines intended to differentiate their wines from those made by non-members who are satisfied with the less stringent guidelines applied by the local Consorzio per la Tutela dei Vini della Valpolicella. For instance, the Famiglie member estates have to have been making Amarone for at least 15 years, a requirement that serves to exclude those who have just recently jumped onto the Amarone bandwagon. Also, their wines are released to market later than those made following the Consorzio guidelines (by at least six months) and must possess a minimum of 30 grams per liter dry extract. All the technical stuff aside, over the years I have found the Amarones from this group of producers to be consistently among the best from each vintage. Obviously, it helps that the association includes some of the denominazione’s most famous names, including, in alphabetical order, Allegrini, Begali, Masi, Speri, Tedeschi, Tenuta Sant’Antonio, Tommasi and more. Clearly, there are many other very fine Amarone producers that are not members of the Famiglie association: names like Roccolo Grassi, Zymé, and Stefano Accordini immediately spring to mind. 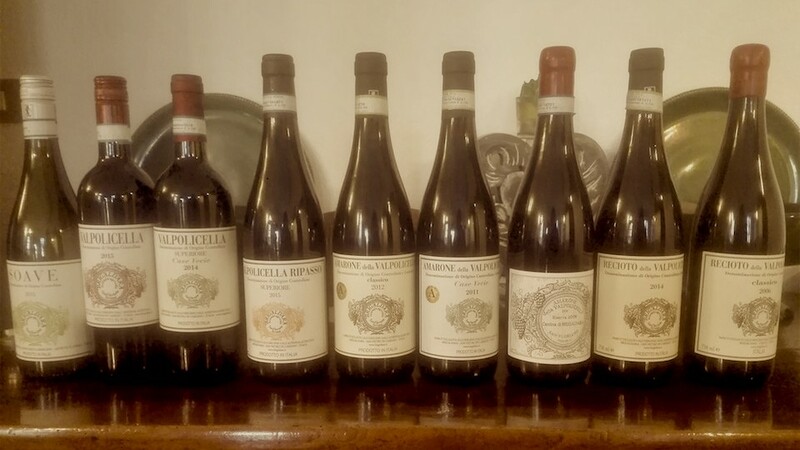 Nevertheless, and perhaps not unexpectedly, the association is getting considerable resistance from the Valpolicella Consorzio, which is unhappy that a small set of estates is allowed to advertise that they make what clearly appears to be a higher-quality Amarone. Rather incredibly, the Consorzio has taken what I consider to be the laughable step of legally trying to prevent the Famiglie producers from using the name Amarone, a shameful action that only some in Italy could view as a useful or even logical course of action. Fortunately, some coherent thinking must also be going on, as the Consorzio has also been organizing a number of constructive activities. For example, they have launched a series of seminars in which recognized international wine experts will speak to Consorzio member wineries about their denominazione’s present and future. This exchange of ideas and experiences between experts and producers can only lead to better wines in the future. Besides, wine matters should be discussed in the vineyards, in the wineries and at the dinner table, not in the courts. 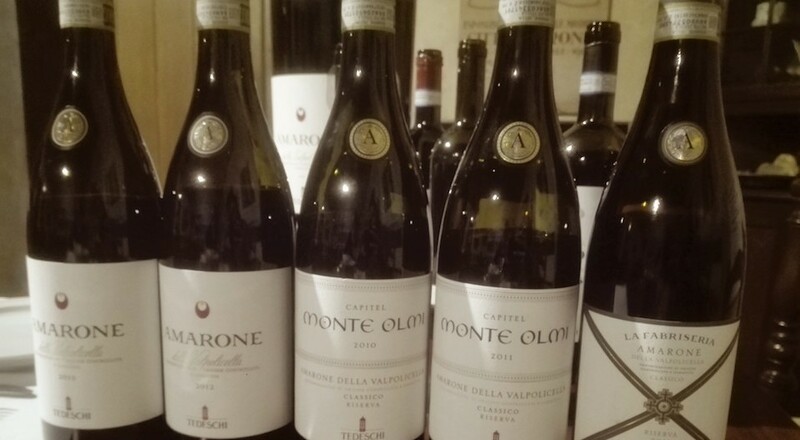 The general consensus is that 2011, especially, and 2013 are above-average to outstanding vintages for Amarone, with 2012 a notch below those two on the quality scale. My own impression is that 2011 is in fact the best of that trio of vintages, with 2013 just a step behind, but many very good and even outstanding 2012 Amarones can also be found. The 2013 growing season was characterized by cold, rainy weather during winter and spring followed by a second half that was sunny and warm. Summer and fall were generally marked by fine weather, although late-season rainfall posed problems for those estates that still had grapes hanging. Overall, 2013 was less hot than 2012; importantly, the summer was characterized by fresh nights, something that 2012 lacked. Unfortunately, hail continues to be a problem in Veneto. For example, the Illasi area has been peppered by hail practically every year since 2005, and in 2013 even the Classica zone was hit hard, especially the areas around San Pietro in Cariano and Negrar. Clearly, under these conditions strict sorting of the grapes is essential. In ultimate analysis, the best 2013 wines are powerful but more refined than usual. Initially, the 2012 vintage looked to be a potentially memorable one as it was very hot from the start. But although the grapes had time to adapt to the unusually warm conditions, most ripened too quickly and had to be harvested when sugar levels were high but polyphenols were not yet fully ripe. Consequently, some 2012 Amarones are marred by green streaks and overt herbal qualities, but the best ’12s are powerful, luscious wines that also show good balance. By contrast, the 2011 vintage is consistently superb. While the growing season was also very hot, the wines possess big structures but also considerable freshness, which gives most ’11s an appealing light touch. Giampaolo Speri pointed out that 2011 was an anomalous vintage as it was cooler than average until mid-August, at which point extreme heat hit and lasted until October. So even though the heat of summer did not arrive until late, the harvest was earlier than usual (most estates started picking grapes roughly two weeks ahead of their normal schedules to prevent them from baking on the vines). The best 2011 wines are textbook Amarones with power and flesh. Unlike in many other wine areas of Italy, the 2010 vintage will not be remembered as a great one in Veneto’s Valpolicella area. Too cool and wet, it gave rise to sleek but ultimately somewhat fruit-challenged Amarones that are often marred by green streaks and a lack of flesh. Romano and Michele Dal Forno told me they didn’t think they’d even bottle an Amarone in 2010, but were ultimately happy with what they produced. “Sometimes, all these wines need is a little time to come around,” Romano Dal Forno summarized. The wines in this report were tasted at the wineries during my visits to the Valpolicella area and in my tasting room in Rome in February and March of this year.